Do judges deduce their decisions from legal rules and principles, or do they decide cases based on what is fair given the facts at hand? 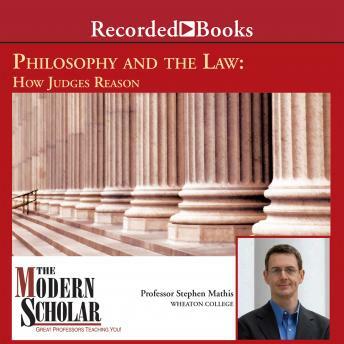 The latter view, held by Legal Realists, serves as the starting point for Professor Stephen Mathis' eye-opening look at how judges reason. In this compelling lecture series, the esteemed professor addresses such issues as whether the law is distinct from morality. Professor Mathis also attempts to identify a view that offers guidance to judges in deciding cases, and one that will provide the tools people need to evaluate the interpretations and decisions judges make.